Diners who loves lobsters will rejoice in the Lime Lobsterfest happening on every Wednesday and Thursday of the week at Lime, PARKROYAL on Pickering. 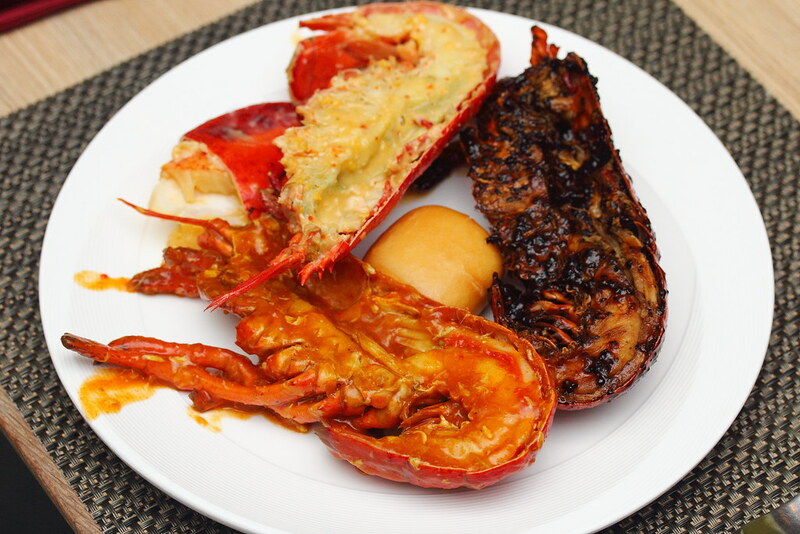 Following its popular debut last year to celebrate SG50, the hotel has decided to bring back Lime Lobsterfest as a regular feature on its culinary line. The latest lobsterfest will end on 1 December 2016. Shellfish lovers can indulge in an array of lobster dishes created by Executive Chef Deepak which are influenced from both Asian and Western flavours. 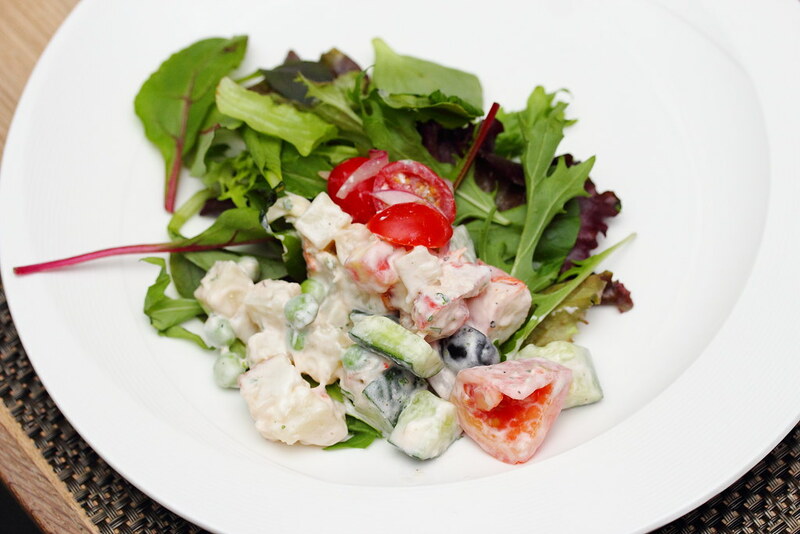 Kick starting the lobster feast, I helped myself to some Lobster Salad with Exotic Vegetables and Wasabi Aioli. A light and refreshing salad to start the dinner. An incident creation when the chef noticed a fellow dinner took the thin crust pizza dough and used it to wipe clean the sauce from the Salted Egg Lobster. With that the chef substitutes the usual tomato base and created the Lobster Pizza with Salted Egg Sauce. 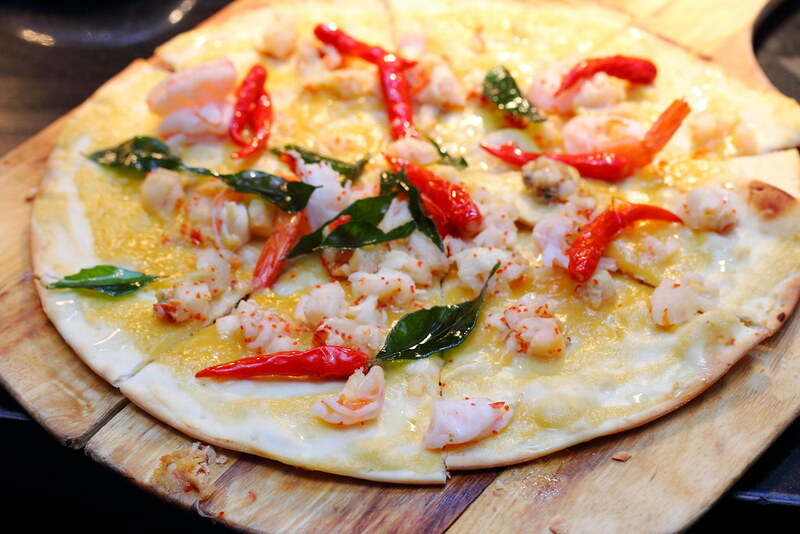 The pizza is spread with salted egg sauce and topped with lobster meats, chillis and curry leaves. An usual combination inspired by local flavour which works beautifully on the crispy thin crust. 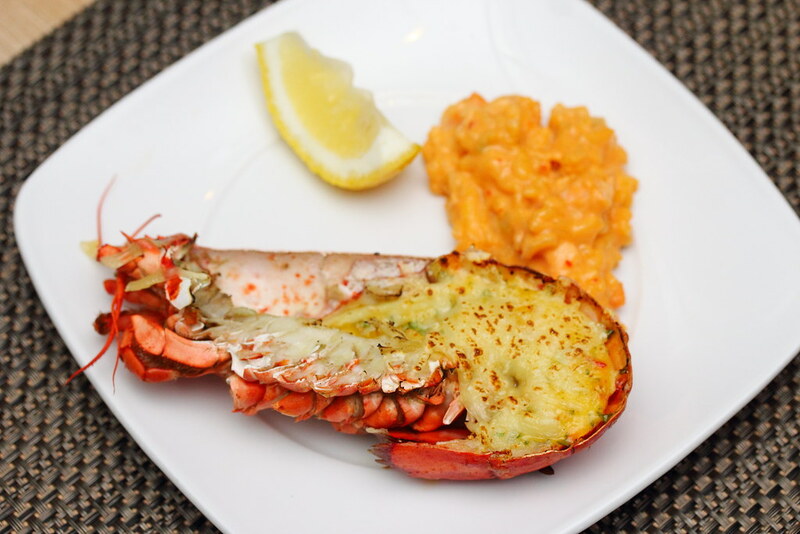 On the buffet spread, diners will find western fare such as Maine Lobster Thermidor with Persillade Crust, Lobster Mac & Cheese with Truffle Salsa, Maine Lobster with Truffled Hollandaise and Espelette and Lobster Bisque Based Risotto with Mascarpone and Lobster Meat. Every item on the spread was well executed with the beautiful flavours complementing the crustaceans. Diners are really spoilt of choice. 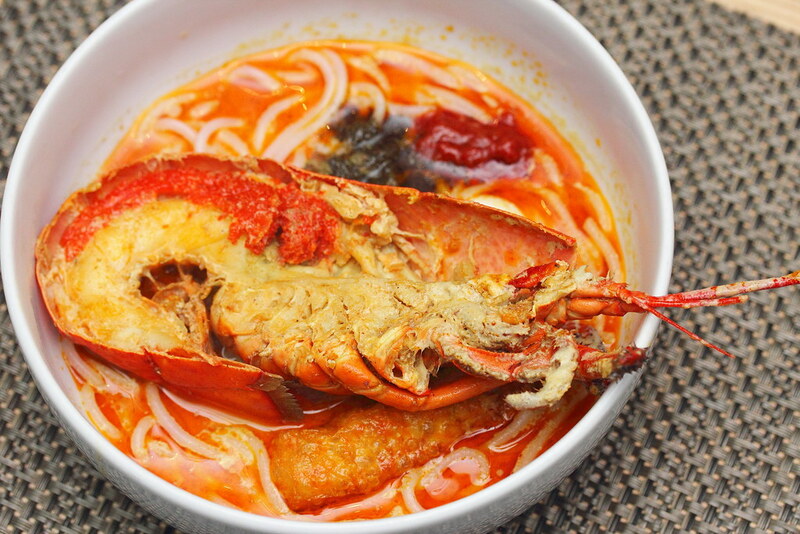 Moving to the Asian flavours, diners can find familiar local flavours such as the Singapore Laksa with Lobster, Singapore Chilli Lobster, Black Pepper Lobster and Maine Lobster with Salted Eggs. 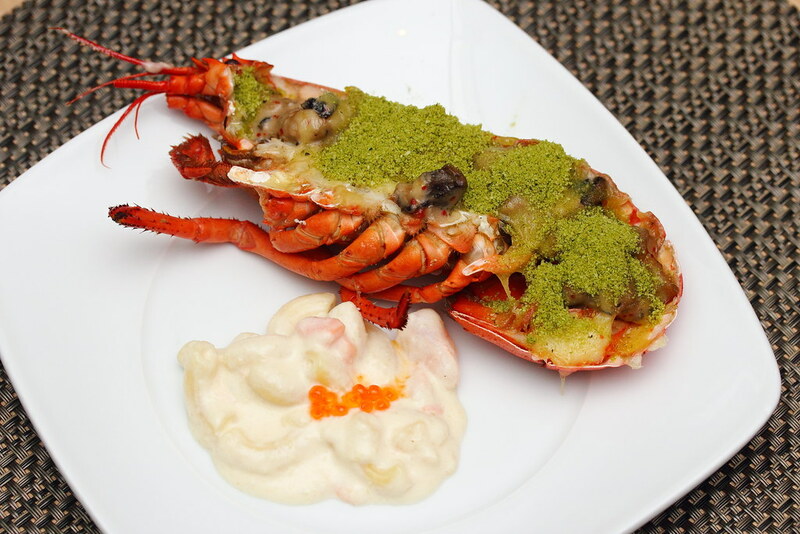 I have to say the use of the fresh lobsters have elevated the local dishes and given it a luscious experience. What's more, they are unlimited. The Lime Lobsterfest at PARKROYAL on Pickering is available every Wednesday and Thursday until 01 December 2016 at $99 per adult with a complimentary glass of Limenade. 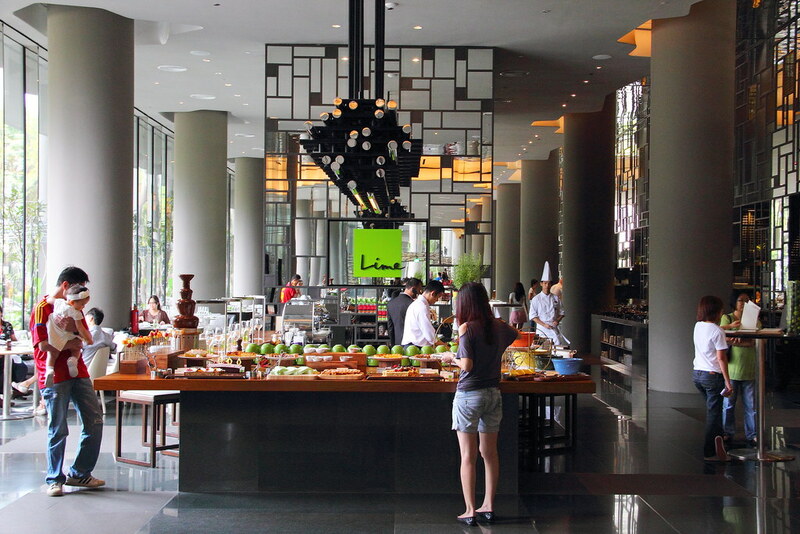 Diners can get to enjoy the rest of international spread on top of the array of lobster creations.